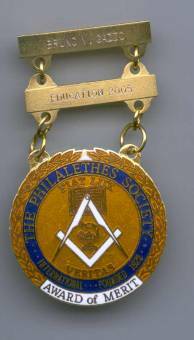 The Philalethes Society, in its Annual Meeting, held at Washington, D.C. on February 19, 2006, has awarded the R.W. Bro. 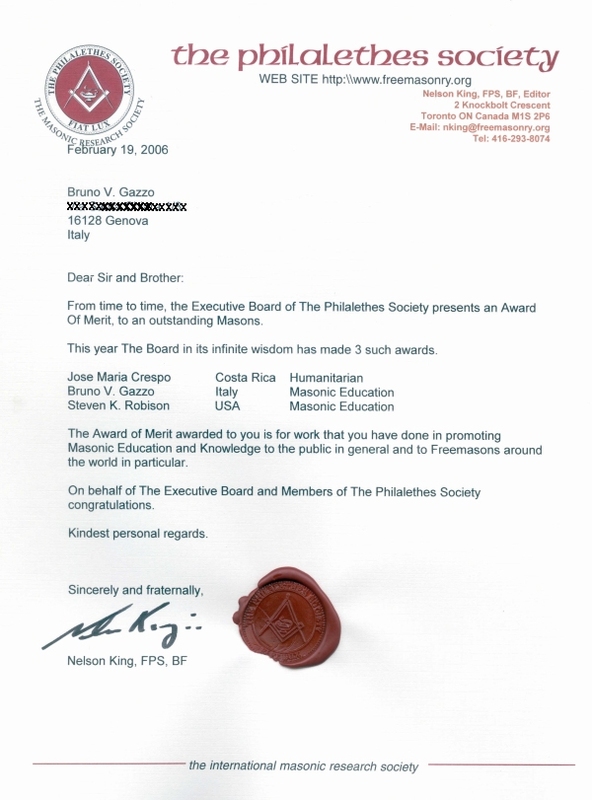 Bruno Gazzo, Honorary Assistant Grand Master of the Regular Grand Lodge of Italy, with the AWARD of MERIT "...for work you have done in promoting Masonic Education and Knowledge to the public in general and to Freemasons around the world in particular."